BIRMINGHAM, Ala. (AP) — A 17-year-old girl was killed in a shooting at dismissal time Wednesday at an Alabama high school and a 17-year-old male student was injured, authorities said, adding they were investigating it as accidental. Birmingham Interim Police Chief Orlando Wilson said his department is seeking to determine the circumstances of the shooting shortly before 3:30 p.m. Wednesday at Huffman High School, adding investigators had already begun seeking out witnesses and would examine school surveillance video. Wednesday’s shooting prompted a brief lockdown at the school in Alabama’s largest city but students were then released and authorities said they had determined that the shooting was not perpetrated by “someone from the outside” who entered the school. Wilson declined to say who fired the gun or to identify what firearm was retrieved by authorities. No arrests were immediately reported. He did confirm metal detectors were in place and functioning in the school. He said police have already questioned students but declined to say how many. No arrests have been made. 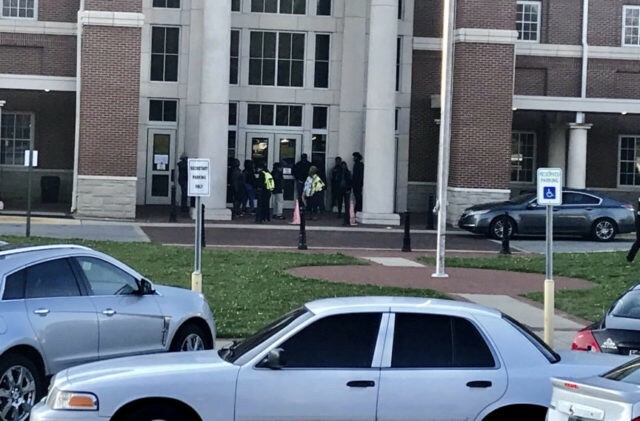 The Birmingham City School system said in a statement that the shooting prompted a brief lockdown and added two students were involved in the shooting at dismissal time. “We are not just talking about some person, (we’re) talking about losing a part of our future. Our hearts are heavy,” Woodfin said. Birmingham City Schools Superintendent Lisa Herring said her goal was to support the family of the child who died and reassure parents about the safety of their children. She confirmed the city’s schools would be open Thursday. Alabama Gov. Kay Ivey released a statement Wednesday evening that she was saddened by the student’s death.